Loomstate !Act Natural! Blog: Treehugger Names Loomstate A Best of Green Winner! Treehugger Names Loomstate A Best of Green Winner! It's the start of a great Earth Month. 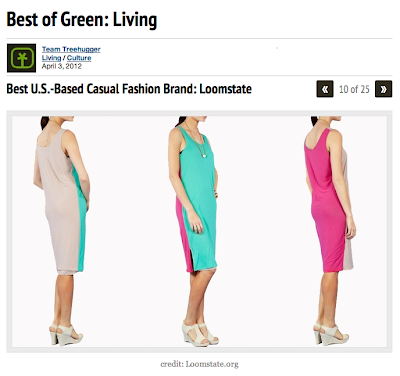 We are so honored to be named Best of Green US-Based Casual Fashion Brand and so excited that Treehugger loves our 321 Akan Dress as much as we do. Thank you & much love, Treehugger!